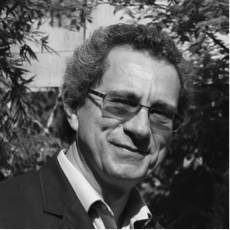 Hervé Chambost is head of the Comprehensive Care Centre for Congenital Bleeding Disorders in the Department of Paediatric Haematology Oncology at the University Hospital La Timone, Marseille, France. He serves as a Professor of Paediatrics at the Medicine Faculty of Aix-Marseille University. Prof Chambost is a scientific co-coordinator of FranceCoag, the national network that includes the French registry for haemophilia and other severe bleeding disorders. He is a member of national and international societies in the field of paediatrics, immune-haematology and haemostasis. His main research interests lie in the area of paediatric clinical aspects of haemophilia (especially prophylaxis, and inhibitors), but also epidemiological and psycho-social issues of hereditary haemorrhagic diseases.